These Consulites have presented and trained in more than 30 cities around the world. From the unique perspective of purpose and unity, these different experts cover topics from strategy, design, organizational development to interreligious dialogue. They offer a dynamic discourse and present insights gleaned from consulting in some of the most challenging industries as companies prepare for Industry 4.0. Lawrence is a featured speaker at global events such as Innovation by Design, World Marketing Summit and World Brand Congress. Since 2003, he has spoken to more than 8,000 people in over 30 countries on how companies can innovate through unity and shape the world. In 2016, he spoke to 1390 people in 5 countries in Asia and Europe. Asian Innovation – From our experience with different Asian organizations, many people talk innovation but few would dare to risk it all to pursue it to the end. That is why the challenge is not in the ideas but how to make innovation work. Organisational Change – The preference for personality over institution means that family names matter and strong leaders tend to stay in power longer. In a fast-changing world with a more educated workforce, this limits Asian organizations from becoming truly powerful institutions. For all of Asia’s advantage in terms of heritage and size, the organizations that shape today’s world in terms of innovation, business thinking and cultural influence are still distinctively Western. Asian Business – As Asia rises, our appetite for ambition and patience for failure lessens. While some Asian companies have begun to dominate in technology and innovation, many others are satisfied with keeping the status quo. They are making money, so shaping the future and taking control of their own growth destiny is not that important. Many are happy to be contractors and not invent to determine the future of the world. This is an alarming trend because we should be at a stage where ambition, risk taking and thirst for knowledge are rising. Asia is in a good place, but it can be better. Design – At the end of the day, design is not about variety and constant change. It is about conditioning the user to recognize it, link it to the brand so that it can raise the perceived value of the product or service. Organisational Development – Here in Asia, unity is a desired trait, as it is the most preferred core value whenever we ask management and staff to think about essential values for success. While unity is preferred, few have a strategy and structure to encourage collaboration to profit from it. Lawrence Chong moved the energy level of the group to a high level with his presentation… He stated that the 1% who shape the world think deeply about meaning, are restless to change the status quo, and have a strong sense of obligation to their industry, their country or the world that supersedes everything else in their lives. Judging from the ovations and cheering by the end of his talk, there were a lot of students who want to be among those 1%ers. – R. Craig Lefebvre, PhD, an architect and designer of public health and social change programs, in his personal website post about the WMS. He is the chief maven at socialShift, the social|design, marketing and media consultancy located in Sarasota, FL. Read his full comment on Chong’s presentation and other points from the WMS. What is Vietnam’s Brand of Leadership? What is Asia’s Brand of Leadership? Will Vietnam shape the world? 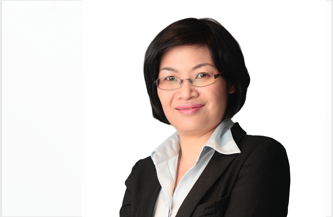 Helena Pham is the Partner (Vietnam) of Consulus. She is a featured Columnist on Innovation Culture, Leadership Ascension and Branding for Asian businesses. 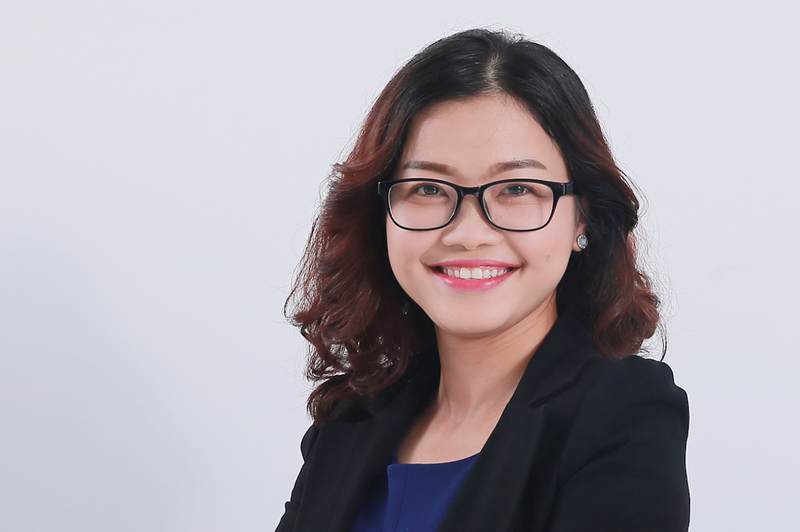 Her insights appear regularly in Vietnam media, including Saigon Entrepreneurs – Doanh nhan Sai Gon and Business Forum – Dien Dan Doanh Nghiep. She is recognised as a leading woman leader and is a member of HNEW (Hanoi Association of Woman Entrepreneurs). She is trained to be a global coach and she works with global experts such as Tony Robbins (Performance Coach), Robert Kiyosaki (Investment), Blair Singer (Sales & Leadership). Helena speaks Vietnamese and English. Building a Winning Team – Even a nimble business entity needs an organisation chart that tells you what kinds of professional skills and expertise you need for each position. Hard skills and knowledge can be acquired easily, but hiring a person solely on qualifications and job experience is insufficient. Personal traits should stand at the top of the list of requirements for any job advertisement for your company. Leadership Ascension – For MNCs such as Google, Siemens, L’Oreal, Schneider Electric and Lafarge, it seems easier to put in place internal leadership development programmes that often include an overseas assignment to cultivate promising leaders in emerging markets. For SMEs or family-owned business, this may sound like a luxurious investment. However, the key success factor here is not about the budget. It is about knowing where you want the company to grow, sharing that vision with your talents and developing a succession plan to groom them in stages. Asian Branding – A brand model designed to become a global representative of Vietnam will definitely help you benefit from the rise of Vietnam. It is also easier to secure trademarks globally if you were to use an Asian name. Therefore if you aspire to be a global brand, get it right and go Vietnamese, it will reap tremendous benefits going forward into the future. Paolo Frizzi is a Regional Director at Consulus. He specializes in global dynamics with an emphasis on intercultural and inter-religious development shaping globalization. He is also a professor at Sophia University Institute, a post-graduate institute with an emphasis on transdisciplinary methods of learning and practice. 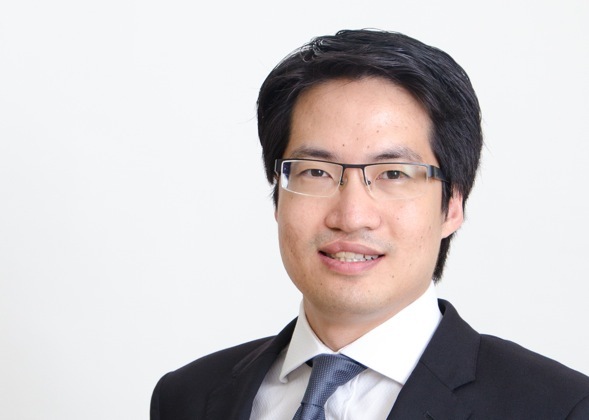 He is an expert on insights in global trends especially the impact of Industry 4.0. A sought after global speaker, his last presentation was at the European Union. Paolo is keynote speaker about Inter-religious and Intercultural dialogue, the Global role of Religions, the role of religious and cultural diversity in Society, Companies and Politics in global conferences in London, Glasgow, Kiev, Singapore, Jojakarta, Manila, New York, Lisbon and all around Italy. Shiraz Latiff is the CEO at Consulus Sri Lanka. Shiraz has over 30 years of commercial experience in multitude of industry sectors specializing in Strategy and Organizational Design & Development. He has worked in the sectors of hospitality, apparel, food & beverages, financial services, information technology and banking by working for some of the leading regional and global brands like Dilmah, LOLC, Hewlett Packard, and HSBC. Shiraz speaks at local and international conferences on Designing Purpose-driven Organizations and contemporary marketing themes. He has spoken at World Social Marketing Conference in Toronto, World Marketing Summit in Dhaka and CIM Annual Conference in Colombo. He is a Fellow of The Chartered Institute of Marketing, UK and a member of the International Social Marketing Association of USA. He is a Doctoral candidate at the University of Bradford School of Management UK. He holds a Masters in Business Administration from the Postgraduate Institute of Management, Colombo and a Postgraduate Diploma in Marketing from CIM UK. He is a visiting faculty for MBA programs. He is a Past Chairman of the Chartered Institute of Marketing Sri Lanka Region and was a Trustee of CIM UK representing the International Regions. He is also a member of the Editorial Board of Social Marketing Quarterly, published by SAGE Publications USA. Jim Funk has spent much of his career in healthcare human resources, advancing to a Vice President of Human Resources for a large community-based health system, and serving a large, faith-based national health system as Director of Executive Formation in the U.S. As a consultant Jim’s areas of expertise include leadership and physician training programs, performing leadership assessments, organizational culture assessments, career planning, executive and physician coaching, facilitation of board retreats, and strategic planning using appreciative inquiry. Since he began his consulting practice in 2010 he has worked with many diverse organizations across the United States, and he also continues to serve in an educational role as an Adjunct Professor in Indiana University’s Executive Education program. 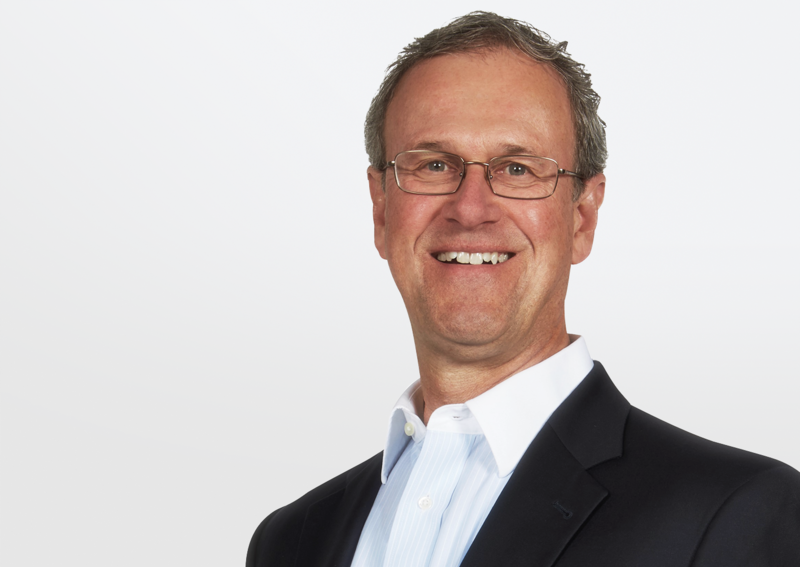 Jim joined the Consulus team in 2017 and serves as Global Head or Leadership Transformation. His insights and many articles on person-centered and purpose-driven leadership for the future continue to be published on the Economy of Communion North American Association website. Leadership Competencies for Industry 4.0 People and technology are connected across the globe in ways never before imagined. A new brand of leader is needed to address the challenges and pursue the opportunities brought about by the fourth industrial revolution. To be a positive force, leaders will need to be able to improve the lives of people with their products and services and create sustainable economies. How to develop these competencies is a topic that leaders can use whether they are in small, medium, or large enterprises. Leadership Development as a Life-Long Endeavor Leaders must be life-long learners, because what they knew when they began their leadership journey will continue to change. New information, research, methods, technologies and cultural changes require leaders to be transformative, regardless of their role. Development is not only attained by attending workshops and reading books and articles. Experiential learning is a key to ongoing leadership development. Holistic, Person-Centered Leadership Research shows that workers who feel their supervisors and leaders take a personal interest in them and their development are more engaged, productive and committed to organizational goals. Leaders, like everyone, bring their whole selves to work, and the impact they have on people is critical to their success. Leaders who are most effective are self-aware and understand people and work – they are holistic, and person-centered. Spirituality in the Workplace Recognizing the fact that the whole person—body, mind and spirit—comes with us to work provides a greater opportunity for personal as well as organizational transformation and development. Just as our physical self enables us to complete tasks, and our mind allows us to think, judge and act, our spirit gives us the capacity to bring our passions, deeply held values and motivations into our work. Organizations that treat people as whole human beings find their employees experience deeper meaning in their work, discover more of their gifts and talents, and grow personally and professionally. What’s Your Leadership Style Much research has been done on the effectiveness of various leadership styles. What if leaders could adapt their style to the situation, rather than lead with their default style? Research shows this is a critical leadership competency, and that when it is intentional the leader can transform even the most difficult situations into wins. Appreciative Inquiry as a Leadership Best Practice Appreciative Inquiry is more than a methodology or a process – it is a philosophy that involves a strength-based approach to life and work. It starts with a belief that in any organization, team, leader and person there is something that works. By focusing on the best of “what is,” we begin to discover ways to duplicate positive results and expand these best practices to things that have not worked so well for us in the past. Jim Funk has excellent insight into the important aspects of successful leadership skills and team building. He is a master presenter, and has the ability to engage audiences in the subject matter he is presenting. He has a genuine spirit and is passionate about people and sharing his knowledge about leadership. Because Jim Funk’s appreciative approach seeks what is good, leaders are challenged, motivated and inspired to bring meaning and purpose to their work, while fulfilling their innate calling to become a servant leader. Michael is a practising Solutions and Systems Architect with more than 29 years in the computer industry. He has extensive consulting experience with Digital Technology such as Cloud Technology, Enterprise Security, IT Infrastructure, Mission Critical Systems and digital solutions based on Mobile Apps and Social Media Marketing Tools. 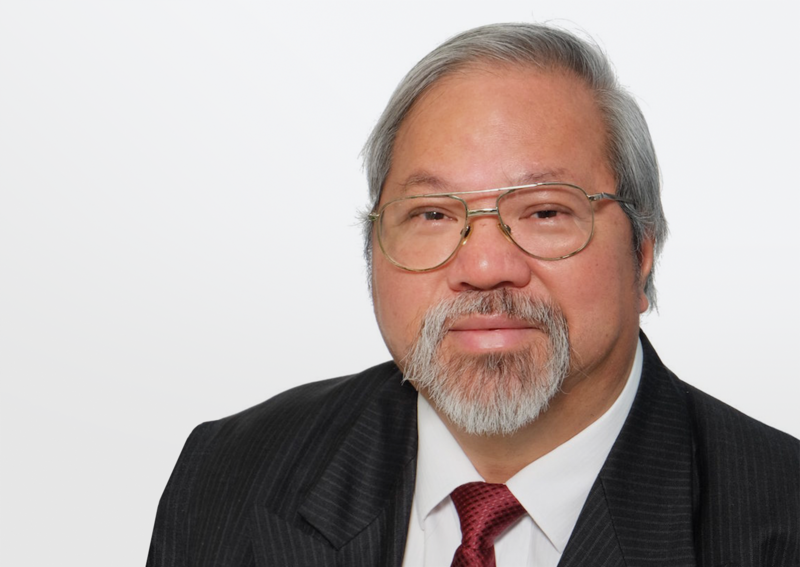 As the Lead Architect Consultant, Michael has worked on and contributed to a range of projects evaluating client’s business drivers, IT requirements and business processes in order to design enterprise-wide solutions for corporations from different industries and government departments in Hong Kong, Philippines, Malaysia, Australia and New Zealand. Michael speaks English and Italian. Delivering IT Efficiency through IT Optimization As Digital disruption caused by Industry 4.0 forcing many companies to shut down, businesses still operating with inflexible legacy IT systems and complex IT Infrastructure face challenges in controlling the rising cost of IT expenditure and keeping the legacy systems up-to-date. The purpose of IT Optimization is to reduce IT costs through consolidation, software standardization and business process integration. Greater IT efficiency allows companies to focus on new business opportunities. A people focused approach is one of the key success factors in achieving IT efficiency. Cloud implementation in the financial sector Many traditional banks have raised concerns about cloud technology. Their concerns focus mainly on the risk of Security breaches where a client’s data is compromised. The banks also worry about how to meet strict standards with respect to Regulation and Compliance for data protection and access to the bank’s applications in a cloud environment. These concerns are valid. These challenges can be overcome with a Hybrid Cloud Solution such as the one designed by Michael for one of his clients. The security access control was enforced by segmenting the network, application and data layers with strict user access and policy control between the Public Cloud network over the Internet and the Private Cloud network residing inside the corporate network. Biometrics for User Identity Verification Data and Identity Fraud is rising where personal data and credit card details being hacked and stolen. Biometric Technology is widely available and deployed by the Healthcare and Financial sectors. Biometric Technology Tools (using the specific client’s face, finger, iris and voice) are being deployed to verify the identification of a client before granting access & control to financial and health data. With such a variety of Biometric Technology Tools available in the market, it is important for companies to acquire a good understanding of these tools first before choosing a suitable Biometrics Solution for their business. Understanding Business Continuity Plan and Disaster Recovery Plan for your business Often, businesses have insufficient knowledge of how to design and plan a Business Continuity Plan (BCP) and Disaster Recovery Plan (DRP) for their businesses. After 9/11, many businesses started to realize the value of having a BCP and DRP to avoid the complete disruption caused by a natural disaster or terrorist attack. The fundamental question for companies to ask is whether their business will continue to operate to normal capacity after a natural disaster has impacted on their business premises and how long it will take for the IT Infrastructure and IT operations to be restored at the DR site to enable the business to maintain their operations. Amy Vu Hanh Nga has more than 22 years of extensive experience in Property Development (from Concept, Implementation to Management), Business Management and Business Development. Nga has served global real estate firms such as Savills and Archibus, Coco International. 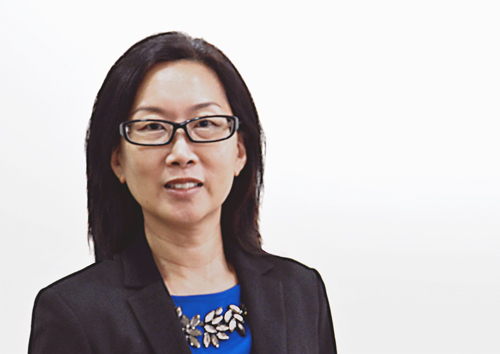 She has played the leading consulting roles for local government projects such as Danang, Da Lat, Quang Ninh, Yen Bai and regional projects in USA, Singapore, Malaysia, Indonesia and China. Amy speaks Vietnamese and English. Sharon serves as Head, China and Creative Strategies at Consulus. She has more than 20 years of experience including six years in China, and held senior management roles in international consultancies and organisations from Europe, the United States and Asia. Her forte lies in strategising solutions that help clients differentiate themselves in their challenging environment to realise business and corporate goals. Sharon speaks Mandarin Chinese and English. 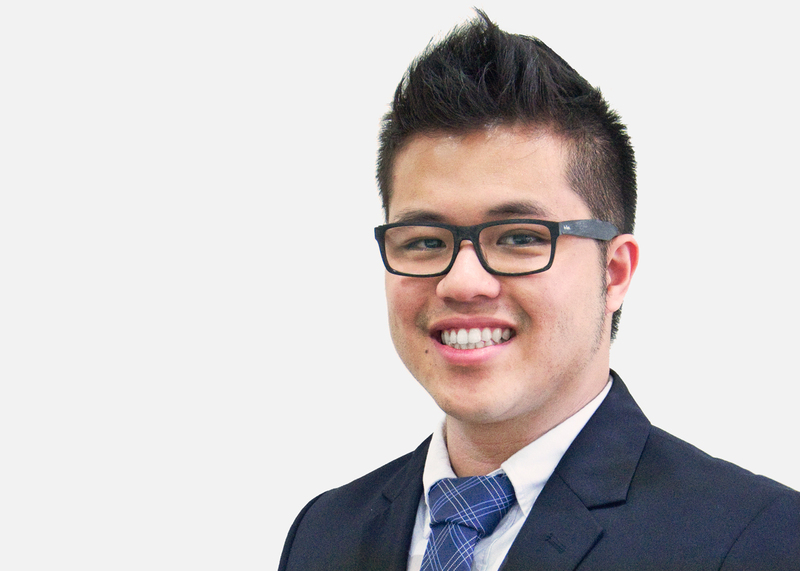 Vincent Chee is a Deputy Director for Design at Consulus. Vincent is part of regional design team in Consulus and responsible for visual research, identity and visual language development, environment design, packaging design and online experience design. He has received multiple design awards, including Danang Landscape Design (2016), Deego Toys Character Design (2012), Teelocker Childhood Dreams T-shirt design (2011), YTL Climate Change Short Film (2010), Selangor Turf Club Horse Transformation (2010) and more.